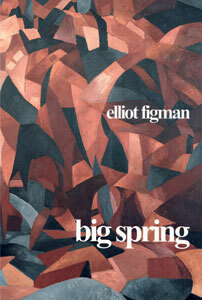 Elliot Figman was born and raised in the Bronx and was educated at Oberlin College and the University of Massachusetts. He taught in Massachusetts and Brooklyn before coming to Poets & Writers where he now serves as Executive Director. A recipient of a New York Foundation for the Arts Poetry Fellowship, he has published his work in Pequod, Poetry, TriQuarterly, and other literary journals. He lives in Manhattan with his wife, Ella.